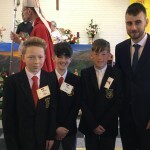 Céad Míle fáilte ar ais chuig ár dtéarma deireannach ar scoil agus an Mí deireannach den Earrach! Anois cúpla rudaí le cur i gcuimhhne oraibh. Welcome back to our final school term and the last month of Spring. Here are a few reminders for the final term. Snámh ag Rang a 1, 2 agus 3 gach Déardaoin ag a 11:30-costas €3.50. Swimming lessons (6 weeks) beginning 12/4/’18- Rg.1,2,& 3, cost €3:50. 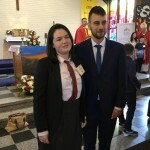 Scileanna peil & iománíochta ag na Naíonáin agus Rang a 4,5, agus a 6 gach Déardaoin ag a 11:00 (saor in aisce). Football and hurling skills (6 weeks) with Mark O’Donnell every Thursday for the Infant classes & rg. a 4,5,& 6. Ranganna Ealaíne Dé Céadaoin 2/5/’18, 2:40-3:40-costas €3. 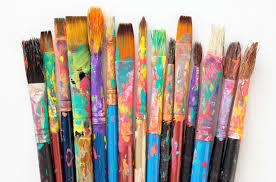 After-school Art & Craft classes (6 weeks) beginning 2/5/’18, cost €3. Beidh Rang Trish ag dul go dtí Stories & Crafts For Bealtaine in Inis ar an 25/4/’18 ó 9:15-12pm. 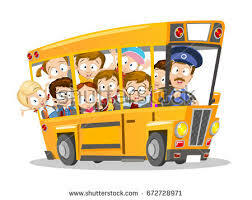 Costas bus: €3, go raibh maith agaibh! Múnteoir Trish’s class will attend a Stories & Crafts workshop in Ennis Education Centre on Wednesday the 25th of April. Cost of €3 towards the bus, go raibh maith agaibh! Beidh Rang Aisling ag dul go dtí Moher Hill Farm ar an 12/6/’18. Costas €15. Beidh Rang Trish & Francis ag dul go dtí UL Adventure camp ar an 11/6/’18, costas €35. Further details to follow ó na Múinteoirí Ranga/Class Teachers. Beidh díolacháin cácaí/cake sale ar siúl ag na naíonáin ar an Déardaoin an 3ú/5/’18 le haghaidh World Autism Week. The infant classes will host a cake sale in aid of World Autism week on Thursday the 3rd of May. Parent’s of infants are asked to bring one item each (buns/a cake) go raibh míle maith agaibh! 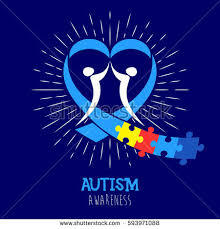 We will also celebrate by having a blue parade around the Town Center to raise awareness for Autism. Internet Safety workshop on 1/5/‘18 for children in Rang 4-6, meeting for parents afterwards from 2-3pm. Reminder text will be sent closer to the time. Bhí lá álainn ag rang a 6 don Chóinéartú. 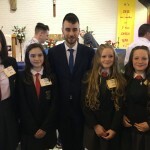 Comghairdeas le Lucy, Amber, Emma, Sophie, Alfie, Shane agus Oisín! 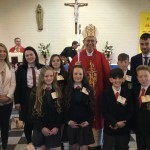 Congratulations to our 6th class students who took part in the Confirmation yesterday (18/4/’18), they all had a lovely day. Beidh an Chéad Caoimaoineach ar an Satharn an 28ú/4/’18 agus beidh na páistí ó rang a 3 go dtí a 6 go léir ag glachadh páirt sa chóir ar an lá. The First Holy Communion will take place on Saturday 28/4/’18 in St.John & Paul’s church @ 1:30 and we ask that all children from Rg a 3-6 that take part in the school choir attend on the day. We really appreciate your support, go raibh maith agaibh! Beidh an scoil dúnta ar an 4ú /5/’18 agus an 7ú/5/’18. School will be closed on Friday the 4th of May and Monday the 7th for the Bank holiday weekend. We will re-open on Tuesday the 8th of May.